If you are looking for innovative solutions for your warehouse, office, store or production building, we are the best partner you can find. Our team of specialists possesses expertise based on more than 20-year experience. We will do our best to provide what you really need and keep you satisfied at any phase of work delivery by ensuring customized and timely solution. You are not sure what kind of equipment you really need for your Company? We offer solutions customized to your individual needs. ZMS Systemy Magazynowe is a Company established with a passion. We love what we do, therefore all projects are delivered with attention to every detail. Thanks to such approach, as well as expertise and dedication we are highly recognized by all customers. We carry out business activity for more than 20 years experience in manner that stimulated development of competences. We are ready to face any challenge that provides motivation for hard and efficient work. When we see the final results we take pride in our work. We continually develop our business activity to provide customers with top quality and professional services. 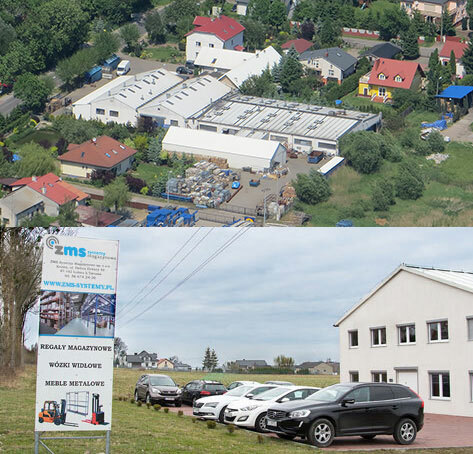 Thanks to wide expertise ZMS Systemy Magazynowe offers exactly what you are looking for –top quality services delivered by competent specialists, timeliness and cooperation with reputable European suppliers. ZMS Systemy Magazynowe is a Company established with a passion. We love what we do, therefore all projects are delivered with attention to every detail.